Mexico City - For a country still in mourning and counting its dead from Tuesday's devastating earthquake, Frida the Navy rescue dog has emerged as a source of inspiration and pride in the search for survivors. 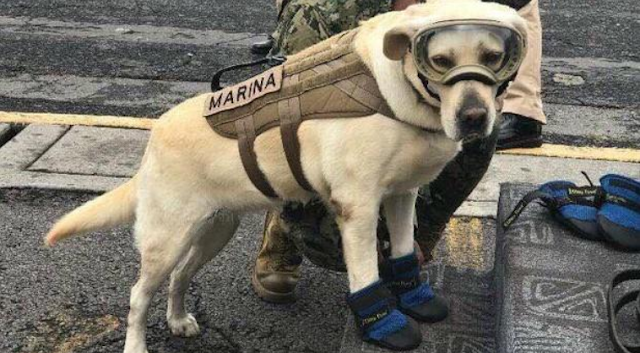 Known for her custom-made doggy goggles and boots, the 7-year-old yellow Labrador has become a social media star, appearing on one man's tattoo and the unofficial image of a 500-peso note. Some posts have wildly exaggerated her feats.